Doll's House - The Childrens' Room. 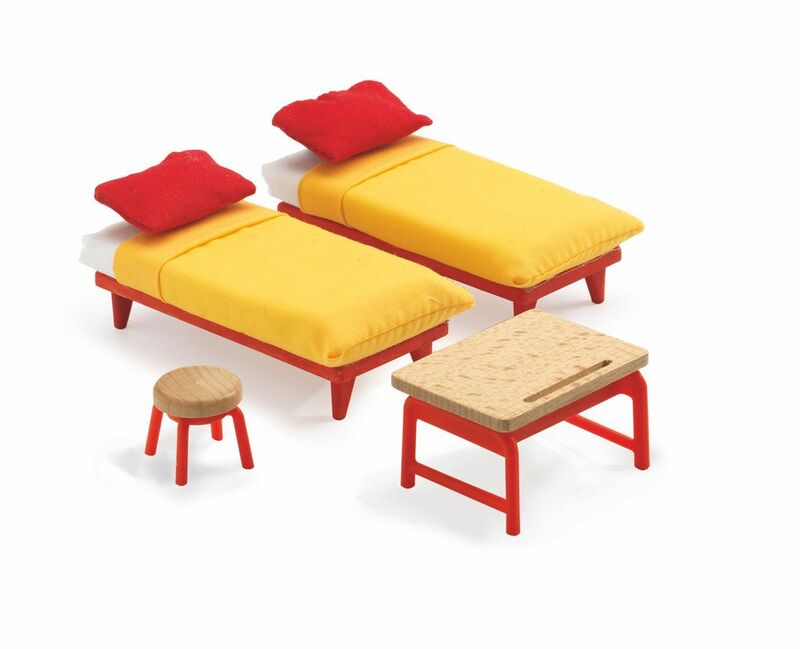 The kids bedroom is made from wood, plastic and fabric. 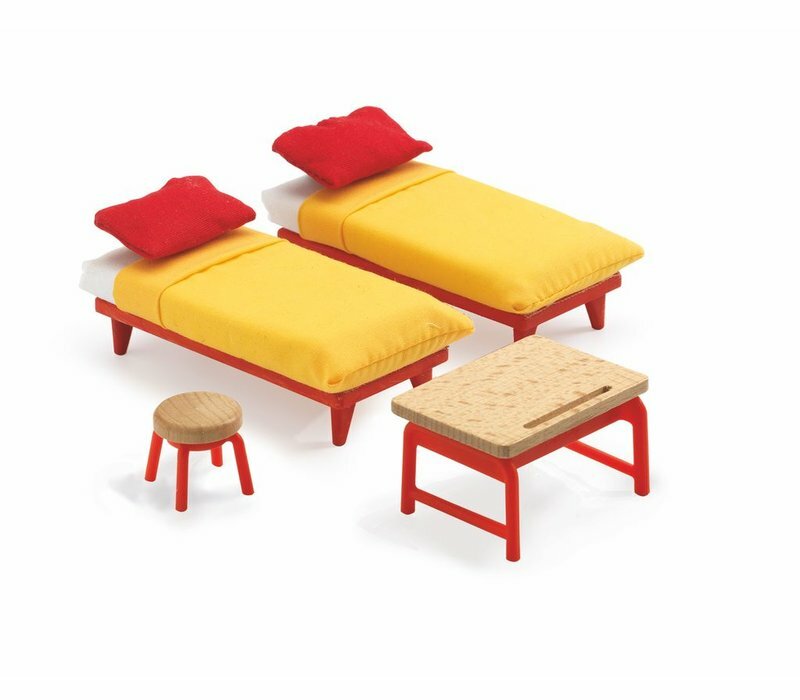 Bright yellow bed sheets compliment the red pillows and legs of the furniture. Also comes with a wooden stool and table. A cute collection that is part of the Petit Houses of doll houses, furniture and dolls. Suitable for ages 4+ years.